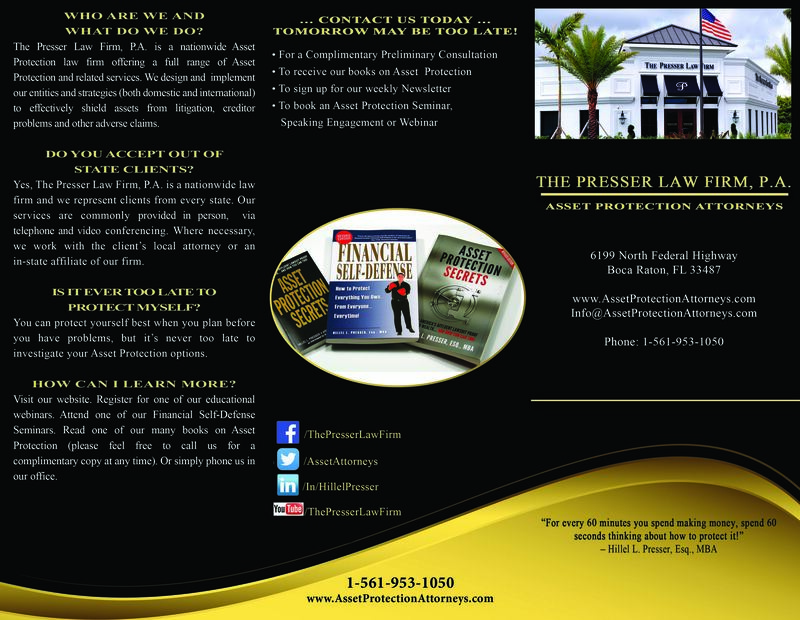 Click Here to Learn More about the Attorneys and Staff of The Presser Law Firm, P.A. Click Here to see some of Hillel L. Presser, Esq., MBA's Speaking Engagement Reviews and Testimonials. Case Studies — Most people don't think of what can happen to their assets in everyday life. We have compiled a few hypothetical (but real) scenerios where a person can get sued and/or lose all of their assets. These scenerios happen everyday unfortunately, and they can happen to you as well. 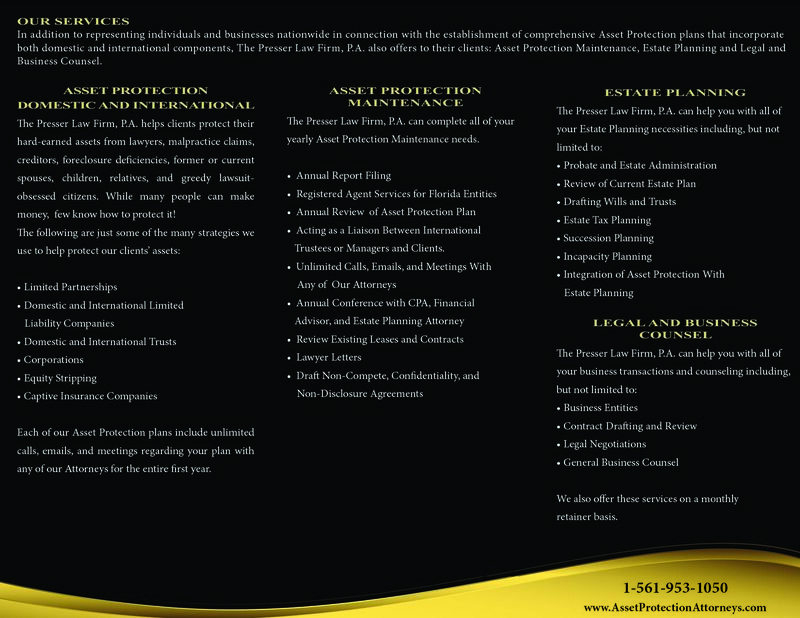 It is very important to be proactive as Asset Protection is most effective when a threat of litigation does not yet exist! Tenancy by the Entirety is a great way to own property — this can only be used by married individuals. Whether a state allows tenancy by the entirety (TBE) varies based on statute and case law specific to that state — view a list of which states allow TBE and which states do not allow this designation for property ownership. **Please note that you must have an E-Book Reader to view this file (IPAD or other desktop E-Book Reader Software).